"Finally a reissue of this unique piece of vinyl in its original format, housed in a druggy psychedelic sleeve. This heavy psych acid killer was released as a one-sided acetate, with no picture sleeve, in Hollywood in the late '60s. 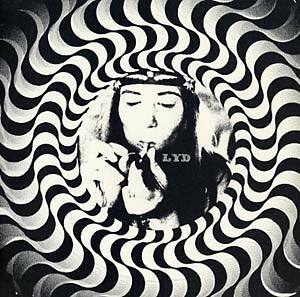 20 minutes of fuzz, wah-wah and stoned vocals that are sure to blow away the toughest psych-heads. The original is as rare as it gets, with only one copy to be known. Here we present you the ultimate reissue of this rarity, with a reproduction of the original label and as a one-sided vinyl, just like the original. A 20 minute trip without the need to flip the record."